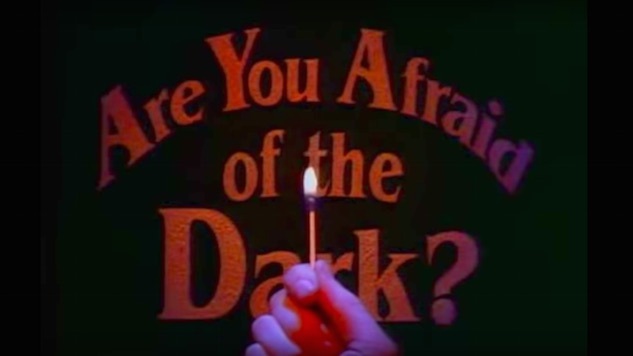 We reported recently that Are You Afraid of the Dark?, the beloved ‘90s Nickelodeon show about children telling each other scary stories, was getting a movie adaptation from Paramount. Well, now we know when that movie will be released. Paramount Players will premiere Are You Afraid of the Dark? on Oct. 11, 2019, Variety reports. Players is the new division at Paramount responsible for adapting their kid-friendly intellectual properties into full-fledged live-action films. They’re starting with Are You Afraid of the Dark? and Dora the Explorer, with the latter to be produced by Michael Bay. Who knows where they’ll go from there. Are You Afraid of the Dark? will be written by Gary Dauberman, a screenwriter on the recent film version of IT. Interestingly, this film is the second to be scheduled for Oct. 11, 2019: Variety reports Warner Bros. has already pencilled in their adaptation of The Goldfinch for the same weekend.